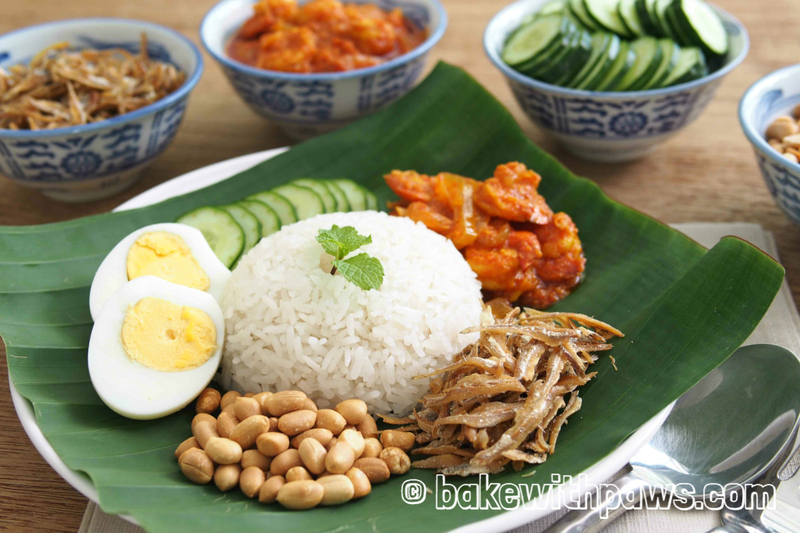 Nasi lemak is a fragrant rice dish cooked in coconut milk and pandan leaf (screw-pined leaf) commonly found in Malaysia, where it is considered the national dish. It is served with a hot spicy sauce (sambal), and usually include various garnishes, including fresh cucumber slices, fried anchovies (ikan bilis), roasted peanuts, and hard-boiled or fried egg. 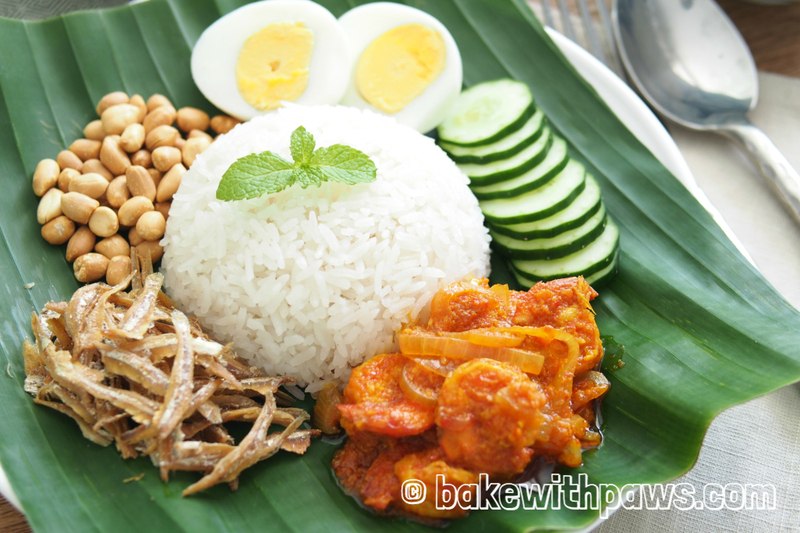 This is my own Nasi Lemak recipe. My mother in-law is quite anti-belacan as she regards belacan as somewhat unhealthy given we really do not know how it was processed. To accommodate her, I have been cooking a sambal without belacan and the sambal works just as well for Nasi Lemak. 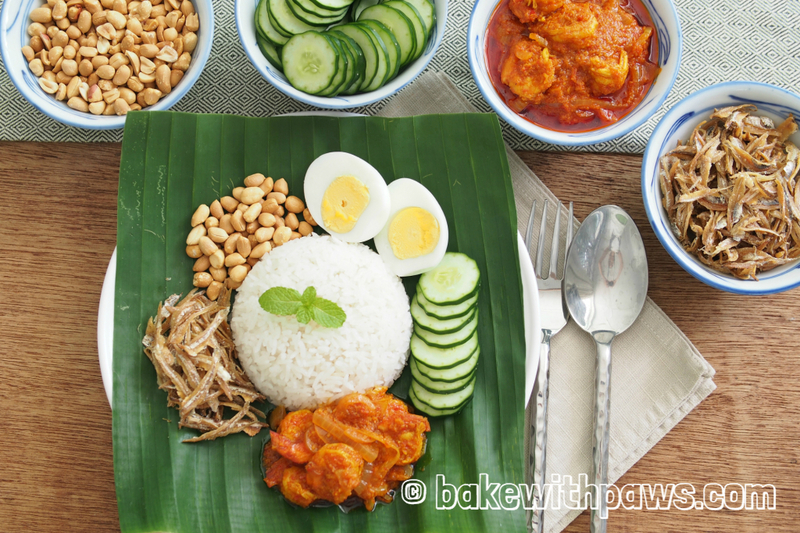 In this recipe, I did not use any tamarind juice or belacan. However, unlike the usual sambal, I added a few additional ingredients like galangal, fresh turmeric and lemon grass. I also substituted tamarind juice, using lime juice instead. 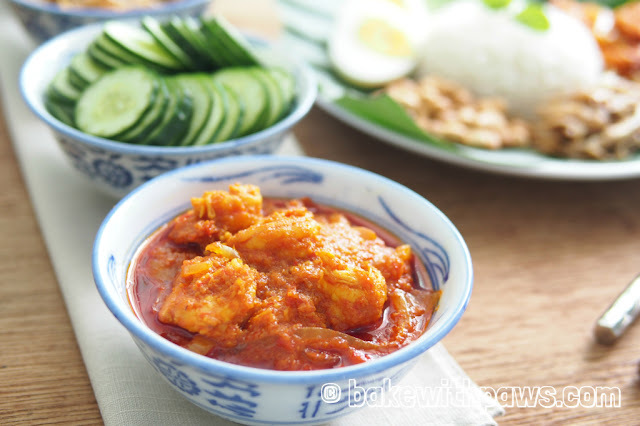 The result is a sambal that is delicate, clean tasting and refreshingly citrusy. 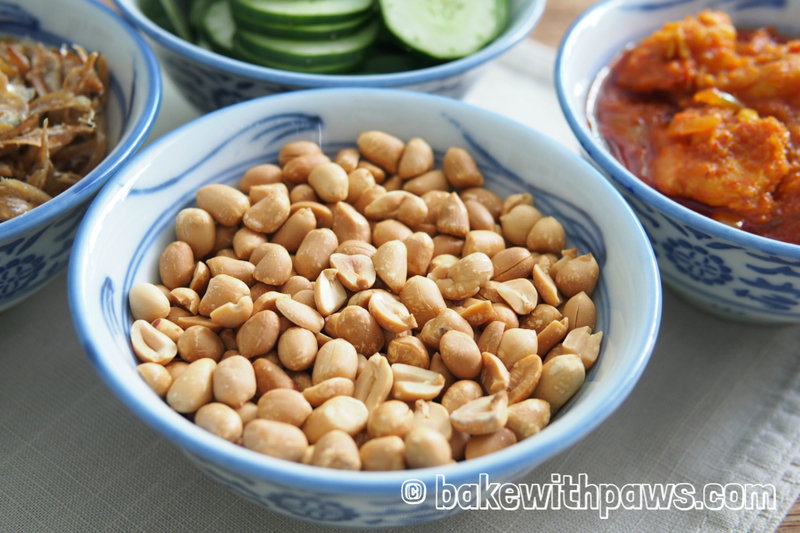 For people who might be more health conscious, the prawn may also be omitted from the sambal paste. I must say the rice turned out perfectly with each grain distinct and just cooked. 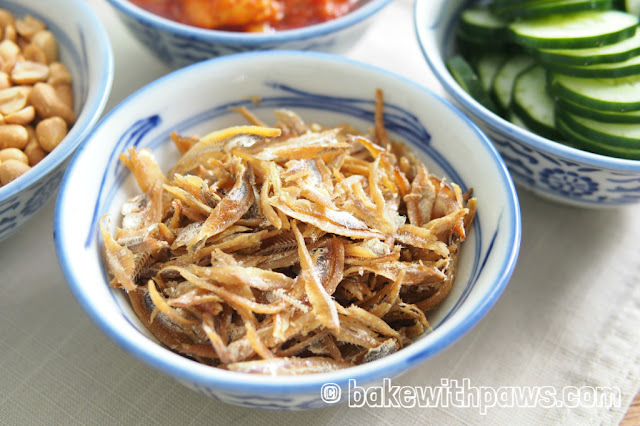 I also fried the anchovies using the Air-Fyer with very little oil making this an even healthier plate of food. I am very pleased with the result and the entire family enjoyed it tremendously. Place all the ingredients in a rice cooker and cook the rice. Once the button auto switched to “keep warm”. Then fluff up the rice with a fork or chopsticks and and keep the rice warm in the rice cooker. Heat cooking oil in a wok, add paste ingredients and chilli boh. Stir fry till fragrant. Add in prawns, stir fry till cooked. Add sliced onions and cook until soft. Then add in lime juice, brown sugar, water and add salt to taste. Simmer in low heat and cook until liquid is reduced. Add more water if too dry. Dish out and serve with Nasi Lemak (coconut rice).